As parents it's always our main concern in life to keep our children safe and protected, and there are so many ways that we can do that from before they've even arrived. When we're pregnant, so many of us (myself included) have a tendency to focus on things like what name to choose, which outfit baby will come home from the hospital in, what to pack in our hospital bags...but did you know that there are things you could focus your attention before you baby have arrived that could help to protect their future? Here are 4 of the ones that I think could be most beneficial. I'm a little embarrassed to admit that I only took out life insurance for myself last year - 4 years after I became a mum! It was one of those things that I always meant to do but life got in the way and I just never got around to it. As the chief earner in the family, it was a little wreckless of me not to ensure that my children would be looked after financially if something should happen to me - particularly when life insurance can be secured so quickly and easily online. This is something that you can take out at any time, and doing so during your pregnancy - before the baby has arrived and you find yourself struggling to find a moment to make a quick phone call - is certainly the wise time to get it all sorted out! Again, rather embarrassingly it wasn't until last year that I finally set up a will either! Again, something I've long since intended to do and just never set the time aside to actually do it. The process was far more simple and painless than I imagined. I did it with a will writing company online and the whole thing took around 10 minutes from to start to finish. I wish I'd taken the time to do it during my pregnancy just for peace of mind - even if you don't want to worry about allocating your assets, you can set up a will declaring who your intended legal guardian for your little one would be. 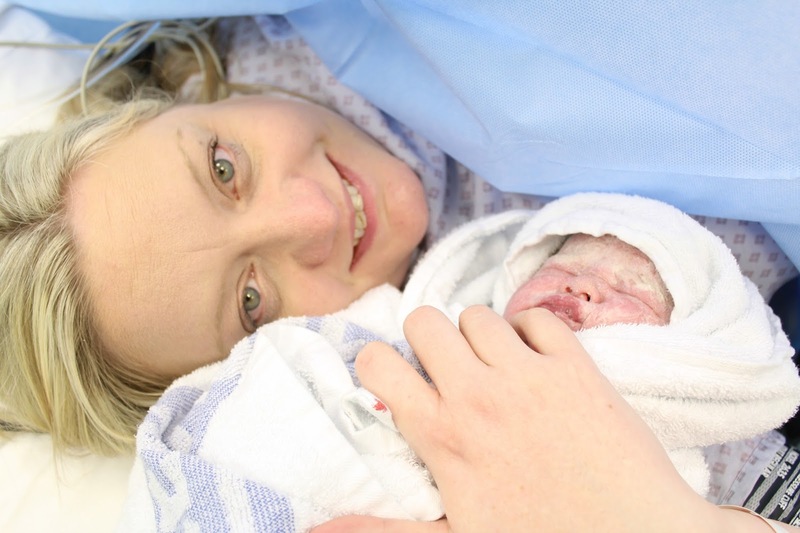 Did you know that using a simple, non-invasive procedure that takes only 15 minutes at birth can protect your childs future against many different cancers, immune diseases and genetic disorders as well as potentially countless more in the future? Stem cells have the ability to become many different types of cells and so can be used to repair and replenish other cells, fighting different diseases. 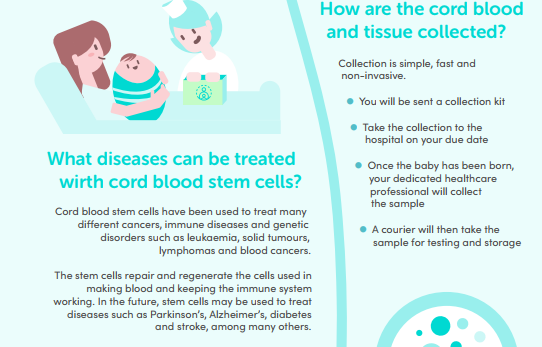 Stem cells are collected from cord blood following the birth, blood which would otherwise go to waste. 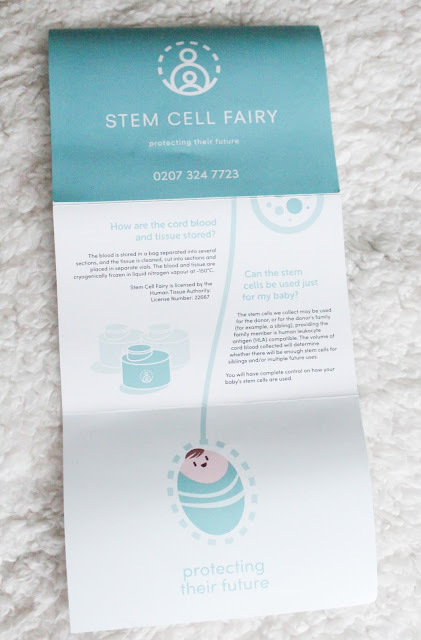 By using a service provider like Stem Cell Fairy the whole process is so simple - you'll be sent a collection kit which you take to hospital with you when giving birth - your healthcare practitioner will then collect the blood sample (if you hospital cannot do this, don't worry...Stem Cell Fairy can provide a phlebotomist to do it) and Stem Cell Fairy will send a courier to collect the sample for testing and storage. You retain complete control over how your babys stem cells are used. There have been over 40,000 lifesaving stem cell transplants, for 85 different conditions, since 1988. Setting up a savings account for your little one can be a great way to start building a little something for their education should they decide to use it in the future, and can also give you a gifting option for well wishing family members too following baby's birth too. Most banks and building societys will be able to help with setting accounts up quickly and easily - you'll need to the set account up in your own name to begin with but this can then be transferred to your childs name following the birth. What things did you put in place to protect your babies future? I'd love to hear your suggestions. Gosh I need to do most of these things! I wish I'd looked into Stem Cell Storage before my girls were born. Getting a Will in place keeps falling down my to do list, which is terrible as it is something that is so important. I feel awful to say this but I haven't even got a will, nor has Gaz! We really need to get one sorted! That is such an interesting concept and I am so glad more and more blogs are bringing attention to it to make it more mainstream! I didn't really know too much about Stem Cell Storage before reading this, I wish I did! It's not really something that gets spoken about alot!